Intergeneric hybrids are setting the orchid world on fire and this clone, ‘Sweetheart’, is no exception ! 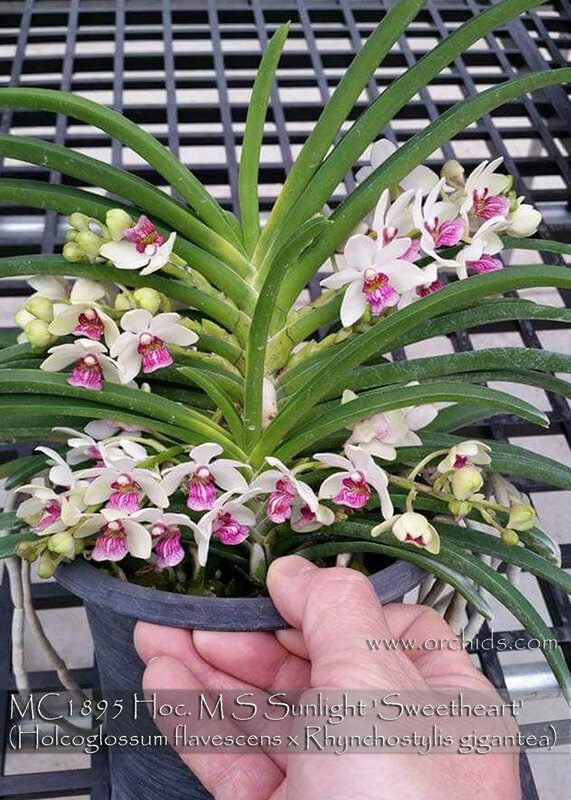 A hybrid between the miniature Holcoglossum flavescens and Rhynchostylis gigantea, this little darling can produce multiple spikes of full round extremely fragrant white flowers beautifully accented with a bold fuchsia lip. A truly miniature grower, it is best grown under Cattleya conditions for the best flowering of its long-lasting flowers. As a first release of a limited mericlone, this is Highly Recommended for those who are longing for something truly different ! 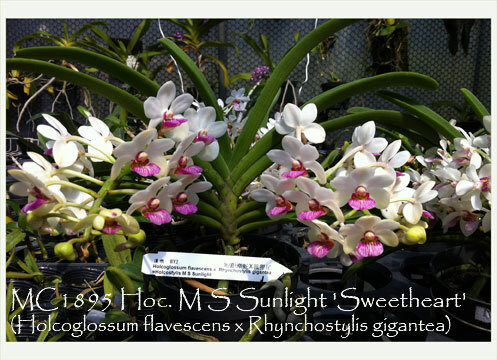 Sweetheart', Note: Miniature grower with amazing fragrance!